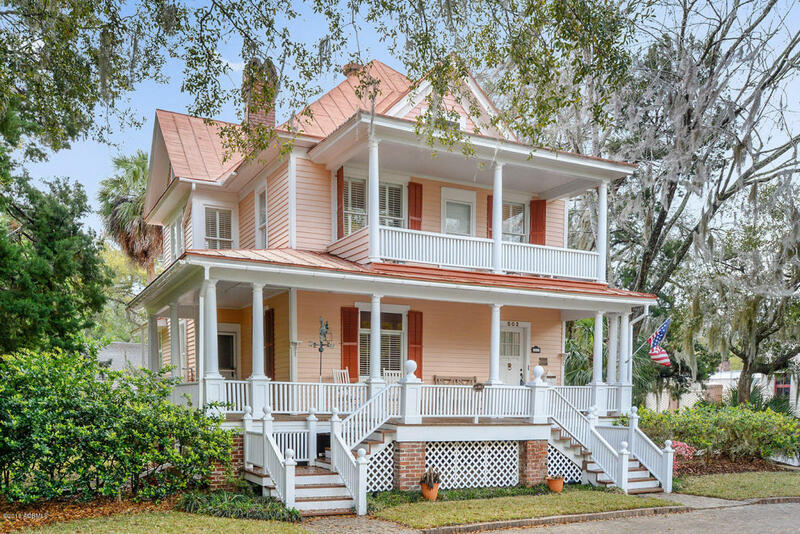 Located in the City of Beaufort's Historic Point, this Queen Anne style home originally stood on Carteret Street.Built in 1913, it was purchased by Carteret St Methodist Church and used as a parsonage.In 1981, the house was relocated to its current site and retains the original copper-coated standing seam roof and cypress clapboard siding.A wide wrap around porch enjoys the breeze and overlooks yard and gardens.The remodeled kitchen offers granite counter tops, beautiful cabinets, stainless steel appliances, and a light filled breakfast area. The first floor includes a living room, formal dining room, and den with full bath. Upstairs are bedrooms and baths. There is also a stairway leading to a third floor that could be made into an office or gym.New foundation when home was moved in 1981.